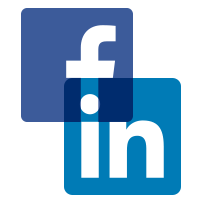 That’s how many of us distinguish the difference between LinkedIn and Facebook and what we share on these platforms. Right? There is a clear line on which parts of our lives are displayed on which platform… or is there? Isn’t there an unwritten rule? Loosely speaking, consider it a timestamp on your life: if it happens between 8am-5pm, then it’s a LinkedIn story. If it’s 5pm-8am, Facebook. Of course, there are exceptions to the rule. I’ll share my children, my favorite beer and a funny video about a Devil Baby on Facebook. On LinkedIn, I’ll share a blog post on how trends in golf may affect sales, an HBR article on business strategy, or even a photo of the echogravity team. For most of us, isn’t that the norm? There has been a gradual change in the type of content, shares and overall communication that appears in our feeds, especially over the past few months. Religion, jokes, animal images with captions, funny videos and mathematical games are quickly trickling into our stream of updates. Is it due to the recent changes in the LinkedIn user interface? Is it that people are starting to spend more time on LinkedIn and less on Facebook? Are the waters just getting muddied as to where the line is drawn? Are corporations blocking Facebook but not LinkedIn, allowing people to share their stories wherever they have access? Do we still have time to simultaneously manage 4 or 5 social media networks? Or is it all just being blended together without clear distinction as to which content and updates go where? Clearly, we are witnessing a behavior shift. Let’s take a look at a few statistics. The Facebook brass better figure out a better way to continue engaging their audience. The active user base has been flattening out over the past few years, as shown in the graph below. At some point, maximum capacity will hit Facebook unless something drastically changes. 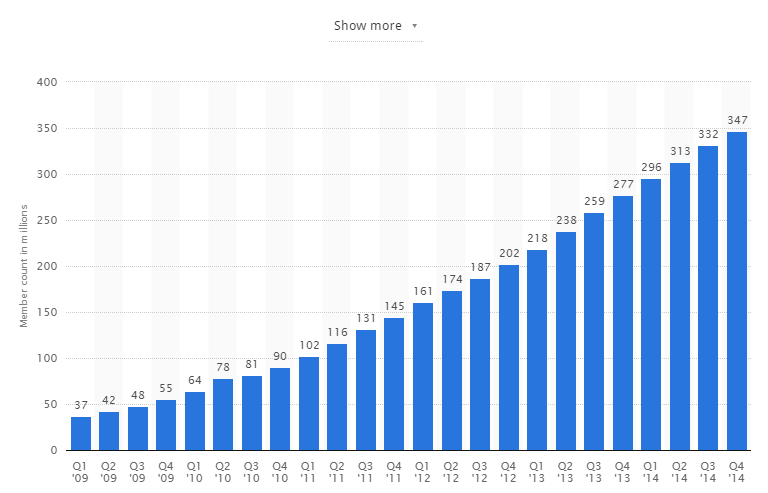 Keeping in mind that the LinkedIn graph below is not an apples to apples comparison to the Facebook graph above; but it’s still a very compelling story. 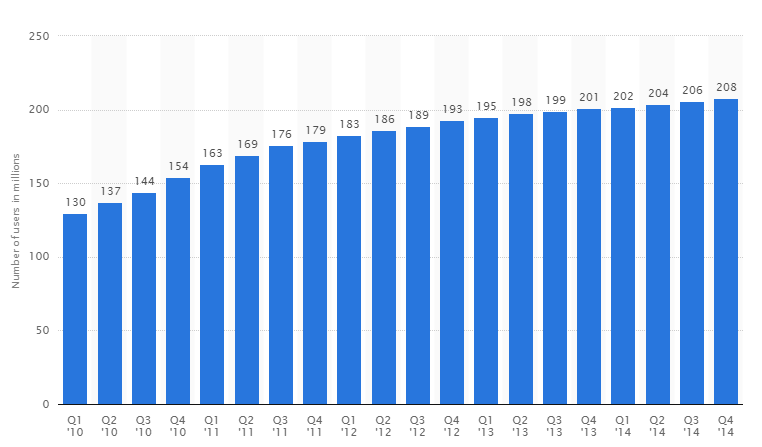 The LinkedIn user base continues to grow at a phenomenal rate, more than doubling in the past 2 years. 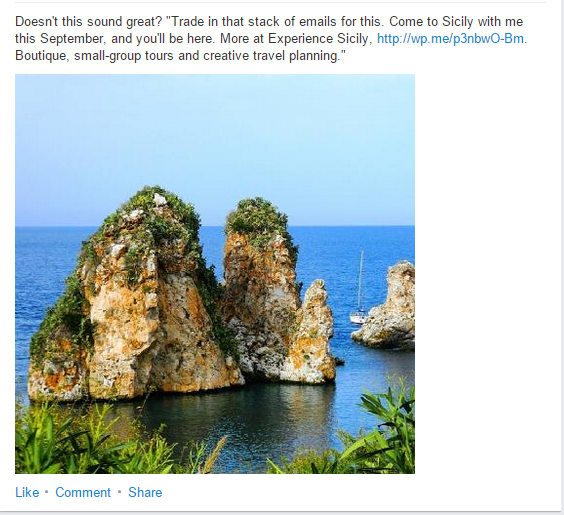 More and more professionals are flocking to LinkedIn and creating new accounts. 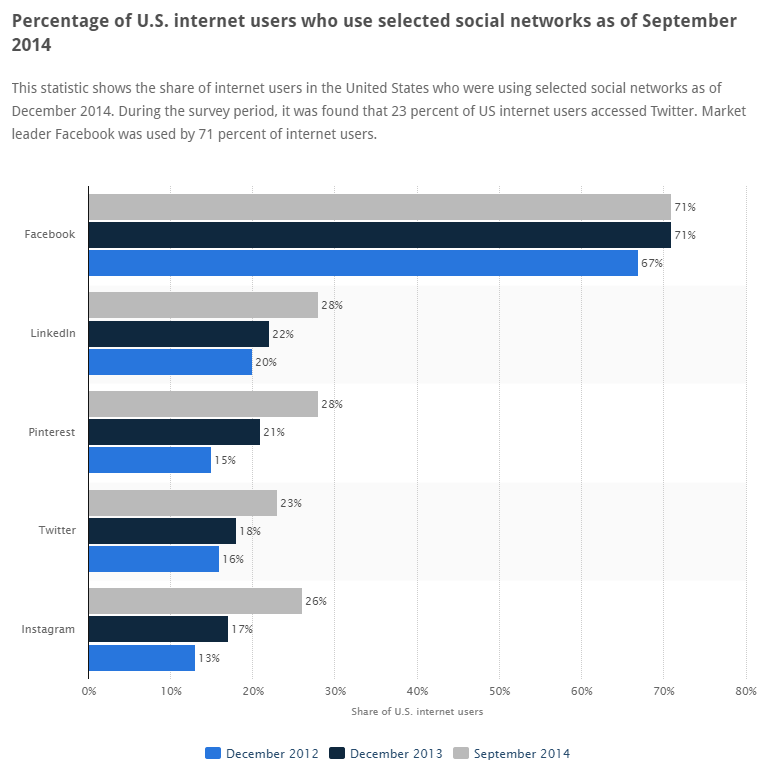 Another interesting bit of information is the selection of social media networks by U.S. internet users. Over the past two years, 50% more users have selected LinkedIn, while growth of users who select Facebook has been nearly flat. In summary, internet users are choosing to log into LinkedIn at an increased rate far beyond that of Facebook. 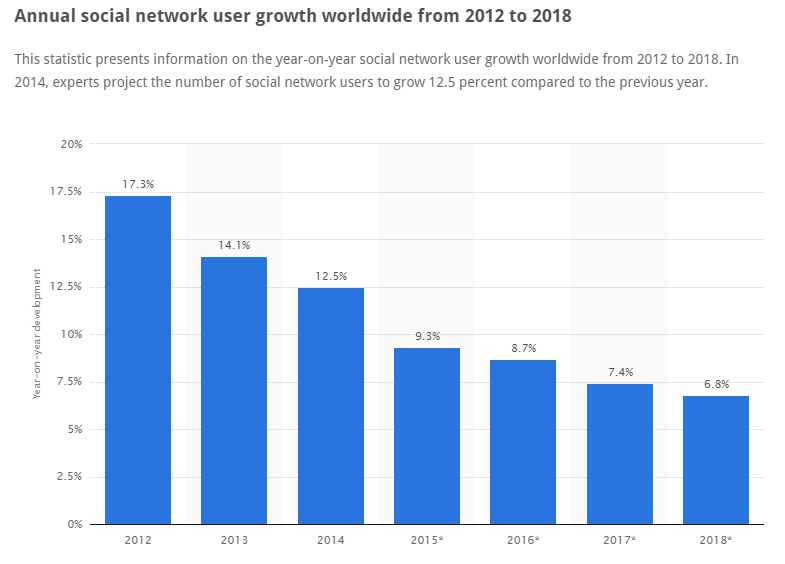 One thing is clear; social media growth as a whole will start to decline (see graph below). It feels similar to the time when cell phone carriers shifted from net new user acquisition to competitor conversion acquisition. Are we nearing the stage of the social media lifecycle when the giants will battle for market share versus new user growth? Are we nearing the end of a growth cycle? Has social media reached its capacity? Are we looking for new platforms to consume our interest? Maybe the sudden rise in Instagram activity, and the uptick in LinkedIn usage are just a few of the signals that Facebook is becoming stale and the boredom shift is starting to show its face. So, back to where we started. Professionals sharing religious messages of the day. Multiplication and numbers games with a morning coffee. Or better yet, plan a trip to Italy! Time to rethink your Social Media Strategy? If so, give us a call. We might be busy working on brain games or planning a vacation, but we’ll be sure to get back to you once we free up! Just shoot us an email: info@echogravity.com.